IBF #1 heavyweight contender Kubrat Pulev has dismissed criticism for forcibly kissing sports reporter Jennifer Ravalo on the lips during a post-fight interview on Saturday night. The 37-year-old had just defeated Romanian boxer Bogdan Dinu in Las Vegas, his 27th win in 28 professional fights and seventh victory since his 2014 knockout loss to former Ukranian heavyweight Wladimir Klitschko. After the fight, he was interviewed by Jennifer Ravalo, a Vegas Sports Daily reporter also known as Jenny Sushe. Ravalo asked Pulev whether he should now have the opportunity to fight British boxer Tyson Fury, to which he responded "yes" before putting his hand on her face and kissing her, without her consent. She laughed off the incident at the time but later described it as "embarassing" and "strange" on Twitter, commenting on a post by a self-described boxing fan from Australia who appeared to find the clip entertaining. In a post on Instagram on Monday, Pulev defended his actions saying: "You may have seen a clip of me kissing a female reporter following an interview after I won my fight Saturday night. The reporter, Jenny, is actually a friend of mine, and after the interview, I was so elated, I gave her a kiss." 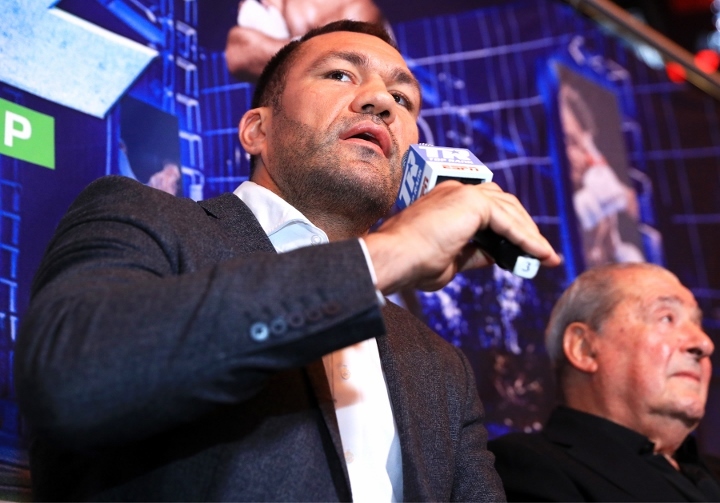 While some social media users appeared to find the incident amusing, others condemned Pulev's actions, saying they constituted sexual harassment, and that he should be banned from the sport. At the 2017 French Open, French tennis player Maxime Hamou repeatedly kissed journalist Maly Thomas on live television as she tried to get away. Hamou was condemned by the French Tennis Federation and banned from the competition. "If I hadn't been live on air, I would have punched him," Thomas later told The Huffington Post. Manou issued an apology statement on Facebook, writing "I offer my deep apologies to Maly Thomas if she feels hurt or shocked by my attitude during her interview". In Australia, West Indies cricketer Chris Gayle stirred controversy when he invited Network Ten Journalist Mel McLaughlin to a drink during a post-match interview in 2016. He then said "don't blush baby" to which McLaughlin replied "I'm not blushing." Gayle was fined $10,000 over the incident.